Fair warning: This trailer is NSFW. 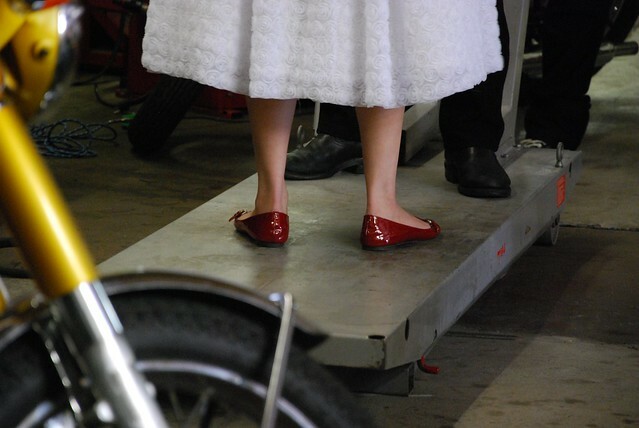 There are only seven days remaining in the Kickstarter.com campaign for Girl Meets Bike — a film shot locally here in Minnesota by people who love old bikes as much as we do. Last autumn we bought a building. This ’50s service station turned alternator workshop was definitely rough around the edges. In the months that followed, we made it our own and continue to tweak and optimize the space. Thing is, we didn’t purchase our little building on Prior Ave for its classic mojo alone. We wanted a space all our own — a space we could use as we pleased. No landlord hassles, and no sharing a larger facility with other tenants. This baby is ours and while it’s a big commitment, it gives BlueCat Motors the space it needs to breathe, grow and thrive. It’s been a great season so far this year. We’ve had busy lifts and busy mechanics keeping old bikes alive while the shop has transformed around us. This is the first post in a new series about people outside of BlueCat Motors who support the shop and the work we do here. They’re each artisans, craftsman and all-around awesome people in their own right who over the years have become not only friends, but partners in our business. Nestled inside an unassuming building off Stinson Blvd. 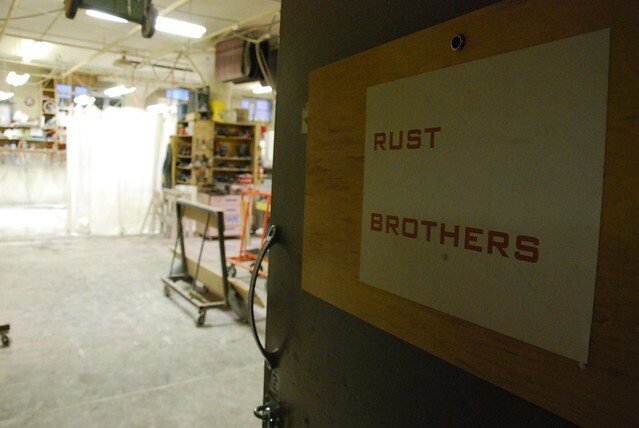 between Hennepin and Broadway, if you know just where to look, you can find The Rust Brothers. Thing is, you want to find The Rust Brothers. At least, you’ll want to find them if you’re doing any sort of interior renovation that you really care about. They’re responsible for the amazing transformation in the front lobby of our shop. What started nearly a decade ago as a handyman service grew into a general interior renovation business, before finally evolving into a premier custom cabinetry and countertop fabrication shop. Partnering with Natural Built Home, The Rust Brothers specialize in some pretty exotic countertop materials that are not only beautiful, but more food safe and environmentally responsible than most of your typical Home Depot faire.